Whoa, whoa: Hold the phone, stop the meds? A 3-year-old girl born with HIV has been in remission so long that doctors think she may possibly be cured, paving the way for a mega-breakthrough in the infection's treatment. The girl's mom carried the virus, and after the girl was born, doctors were on the baby stat: The child got her first dose of three powerful antiretroviral (ATV) drugs just 30 hours after she was born. Eighteen months later, doctors took her off the drugs, and tests showed she was HIV-free 10 months later. And so far? So, so good. The girl hasn't shown any sign of infection since. In fact, she's been so much in the clear that the case was actually reported earlier this year because of doctors' skepticism that she was actually infected in the first place at all. (The child did test positive, but they weren't sure whether it was just for exposure during her time in the womb or because she had actually contracted the disease.) Now, a new study, published Wednesday in the New England Journal of Medicine, confirms the child is (or perhaps we should say was? ), in fact, infected, evidenced by blood tests taken at 19 days that showed signs of HIV. "This is a proof of concept that HIV can be potentially curable in infants," said Johns Hopkins University virologist Dr. Deborah Persaud back in March. However, doctors aren't ready to call it an end-all 'cure' yet: The child is, after all, only three, and doctors don't know how long someone has to go without signs of HIV relapse for the virus to be considered completely gone (after all, no one's done it before). They also aren't sure what kind of proof they need — no such definition of being cured for HIV exists yet. "We want to be very cautious here," said University of Massachusetts AIDS expert Dr. Katherine Luzuriaga, who's involved in the baby's care. "We're calling it remission because we'd like to observe the child for a longer time and be absolutely sure there's no rebound." It might be that the quick, aggressive treatment of the infant is what caused the toddler's "clear remission." No active virus has shown up in the toddler after the treatment course ended. Although the number of children born with HIV has dropped 50 percent in recent years thanks to increased ATV drug access for pregnant mothers, it wasn't discovered that this girl's mom had HIV until she was in labor (she hadn't had any prenatal care). "Our findings suggest that this child's remission is not a mere fluke but the likely result of aggressive and very early therapy that may have prevented the virus from taking a hold in the child's immune cells," said Persaud, who also took the lead in the study. However, some doctors aren't so sure. They say that there's no immune mechanism for HIV that keeps the virus in check — because of this, this could just be a remission, even if quite a dramatic one. Another doctor, Pediatric HIV Chief at the Children's Hospital in Wisconsin Peter Havens, says it might be a genetic quirk. "I'm just not convinced that her dramatic response would be replicable in a large population," he said. However, that's exactly what scientists plan to test next: a government-sponsored study, beginning in January, will mimic the girl's aggressive therapy to see if the treatment results with similar effects. 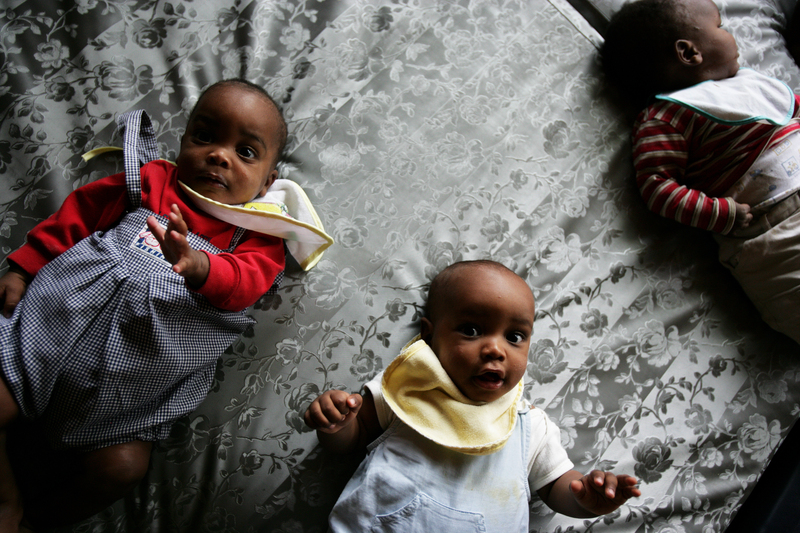 By administering ATV meds for at least two years in newborns infected with HIV (like the adorable babies pictured above), then stopping the treatment, doctors hope to replicate the girl's remission. The upcoming government study is similar to another that came out in March right after the first news break of the toddler's "cure." The study, published in PLoS Pathogens, looked at 14 French people between 34 and 66 years old who were treated with ATV drugs within 10 weeks of becoming infected. Three years later, they stopped treatment — and on average, each kept their HIV levels at bay for an average of 7.5 years. "We might be able to intervene early and spare children a lifetime of therapy," said Lurzuriaga. "That is the potential impact of this case."